Abu Dhabi: Reem Ebrahim Al Hashemi, Minister of State for International Cooperation, announced on Tuesday at the Special Olympics World Games Abu Dhabi 2019 Unified Summit that 22 new nations have signed up for the upcoming World Games, taking the total number of programmes participating to its highest ever at 192. 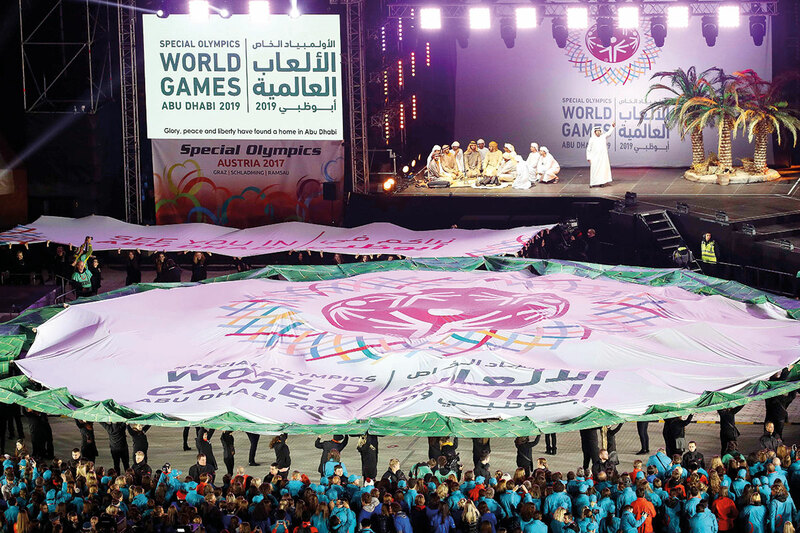 As the UAE gears up to host the most unified Games in the 50-year history of Special Olympics, programmes have been established in 13 countries in Africa, five in Asia Pacific, two in the Mena region and two in North American countries. Under the patronage of His Highness Shaikh Mohammad Bin Zayed Al Nahyan, Crown Prince of Abu Dhabi and Deputy Supreme Commander of the UAE Armed Forces, the Abu Dhabi Games is an integral part of a series of planned initiatives to provide opportunities for people of determination in line with Abu Dhabi and the UAE’s shared vision of a unified and inclusive society. This commitment to empower people of determination, coupled with hosting Games, has seen the UAE take an active role on a global stage to promote the power of sport to transform lives and its values around tolerance and humanitarian development. Al Hashemi has been at the forefront of a large-scale initiative to encourage and support the development of Special Olympics in international locations where programmes did not previously exist, broadening access to dedicated training and opportunities to showcase talent for people with intellectual disabilities. Mohammad Abdullah Al Junaibi, Chairman of the Higher Committee of Special Olympics World Games Abu Dhabi 2019, said: “The UAE is committed to creating a more unified and inclusive world for all people of determination and the support of Al Hashemi has been pivotal in helping us to spread the message of the Special Olympics movement. In order to familiarise the newly accredited nations with the Special Olympics movement, the upcoming World Games and the Games’ host nation and its values of inclusion and tolerance, workshops were led by the LOC in Kenya and Fiji recently. As part of the workshops, participants learnt about intellectual disabilities, early childhood development, and the importance of how a family support network and sports can help transform lives.